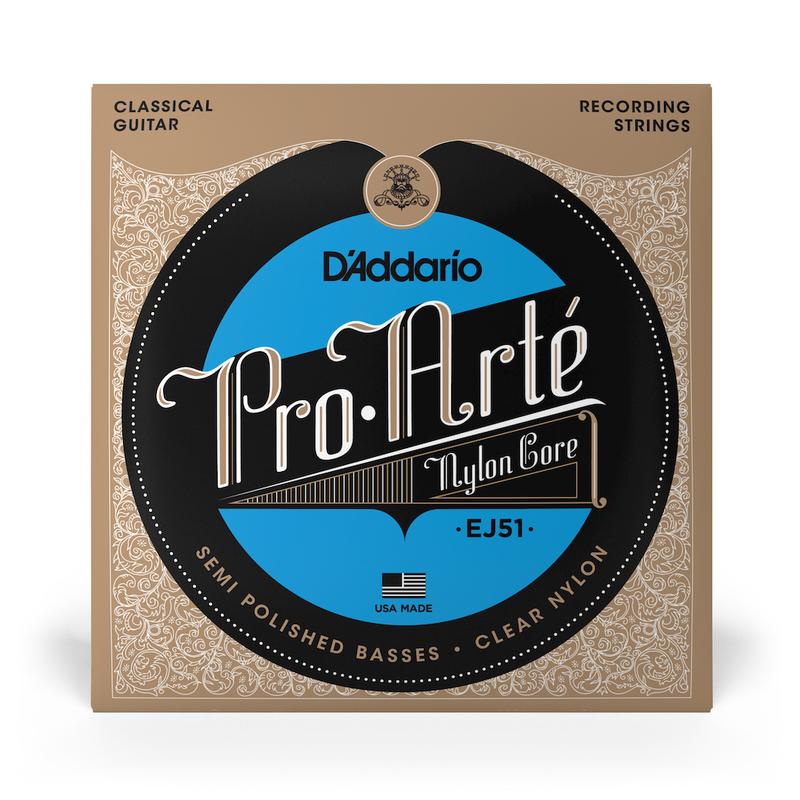 The D'Addario EJ51 set of classical guitar strings feature D'Addario's Hard Tension Pro Arte Trebles (the same as the EJ46 set) and J51 Pro-Arte Basses. The basses are made from silverplated copper wound on Nylon which is polished semi flat to help reduce finger noise. An excellent choice for recording and for amplified classical guitars. I’ve been regularly recording my own practice. These strings reduce my normal squeaking, so they help me THINK I am playing better!